This student-friendly workbook is part of our World History Workbooks series. 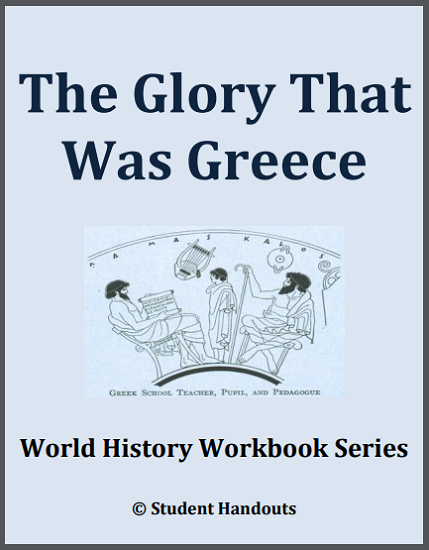 "The Glory That Was Greece" focuses on classical Greece, particularly ancient Athens and Sparta. Topics include Greek philosophy, drama, art, and architecture, as well as the Persian and Peloponnesian wars. Designed for high school World History and European History students, this informative text is punctuated with various types of questions and activities. This workbook is nineteen pages in length. Click here to print. The answer key is below.